Million Tech has set up booth at the Hong Kong Computer & Communications Festival 2014 showcasing it’s latest mobile devices and solutions. 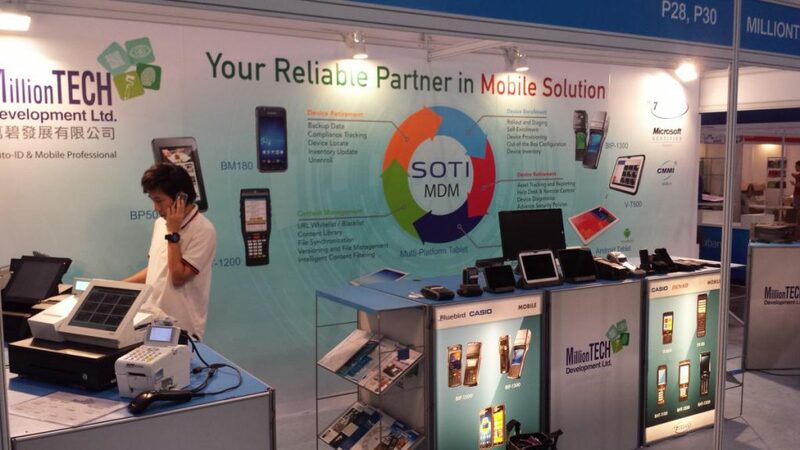 It featured live demonstrations SOTI’s Mobile Device Management explaining the benefits of applying MDM to their enterprise. Latest mobile device on show included the Bluebird BM-180, Casio VT-500 and Denso AT-27Q.